Closets are no longer limited to storing clothes, linens or random odds and ends. You can actually discover more living space and streamline storage for your lifestyle in these underutilized and overlooked places. 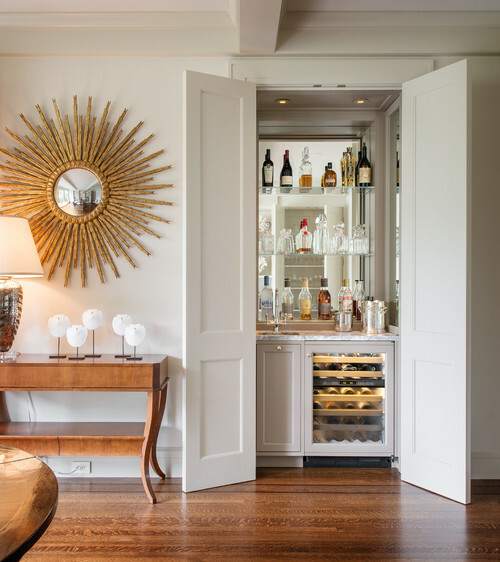 Here are some inspiring examples of closet transformations including a home bar, gym and office. Don’t think you have space for a home bar? Look again. Even the shallowest hall closet can be converted to a drink station. A happy hour hideaway is a very Prohibition era-esque concept, which is all the more reason to stock it with handsome decanters, glasses, intriguing bar tools and a few of your favorite bottles. 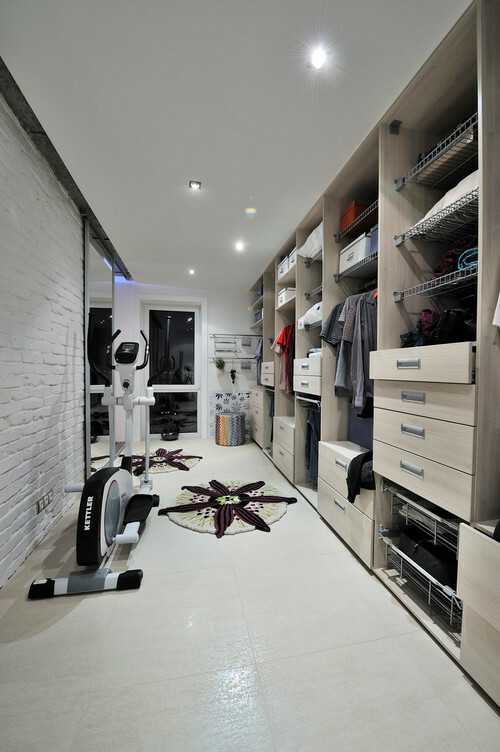 Meet your get fit goals by transforming your closet into a mini home gym. This long and narrow closet has a full workout wardrobe on the right and a lean exercise machine on the left. If your closet can’t accommodate a machine, you can still lay down a yoga mat and install a mirror for keeping your form in-check as you use the floor space for sit-ups, push-ups and the like. If your productivity is lacking, a quiet home office might be what you need. This before-and-after proves that you don’t need a gigantic walk-in closet to make this idea work. 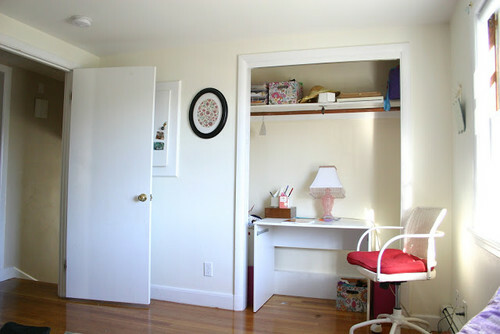 Simply remove the doors off of an unused closet, install a wide shelf if you can’t shimmy a desk in properly and voila! Chalkboard paint, a sconce and a few desk organizers are also featured in this compact home office. A craft station is another creative alternative. 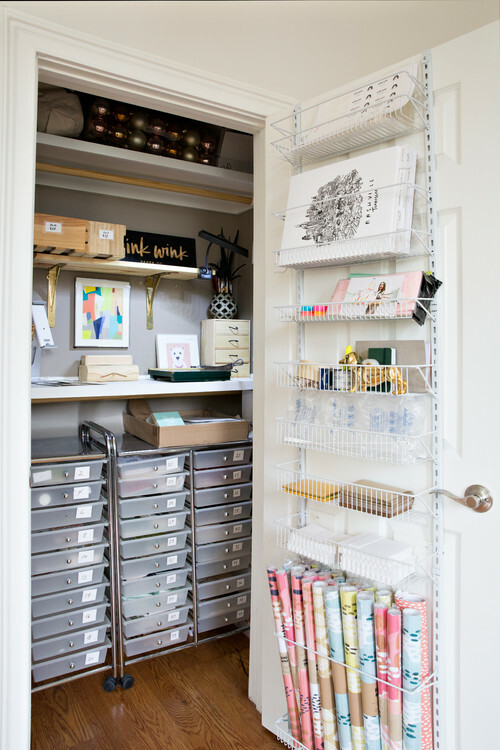 In this closet, craft materials are organized in the carts with labeled drawers. An over-the-door organizer holds oodles of wrapping paper and stationery among other things. And the sturdy shelf is great for gift wrapping or writing letters. Make it your own by hanging inspirational wall art or photos. 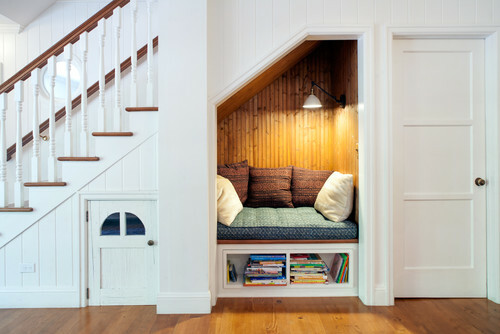 Nooks are very popular on Houzz, especially those reinvented for reading. This alcove under the stairs was finished with warm wood paneling, a reading light and lots of cushions. If you don’t have enough space to actually sit down and read in your closet, use it as a little library for book storage instead. Dress it up for a fab dressing room. New York Fashion Week just ended, but that doesn’t mean you can’t have a runway of your own. This is an ultra glamorous example, but all you really need is a chair, mirror and vanity. You can also try this in a playroom for littles who like playing dress-up. Rehabilitate the linen closet as a hospitality room. Use this space to hang bathrobes, store towels and display your favorite perfumes and lotions. This is especially useful for those who travel often or have a second home used for a weekend getaway. In addition to freshly laundered linens, you’ll find neatly pressed formal attire here with a weekender bag at the ready. 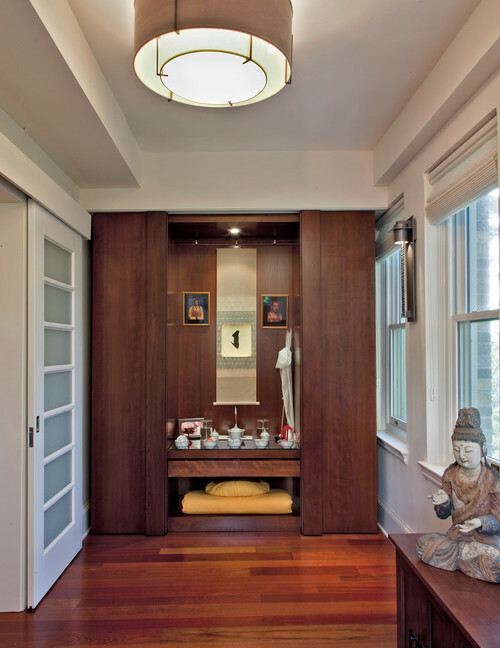 Prioritize zen by carving out a closet for reflection. Whether you’re religious or just need some peace and quiet, a small closet is a secure place to hole up in for 20 minutes and just be. Keep a floor pillow, pouf or soft area rug here for prayer, yoga or meditation. 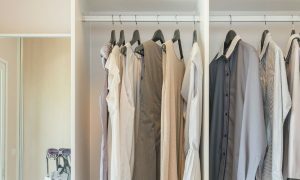 If you’re not working with a walk-in closet, you can still use a shallow closet as a shrine of spiritual objects or mementos that bring you joy. 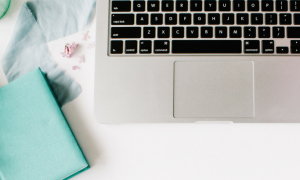 Here are 8 essential elements to integrate into your workspace at home to set the foundation for a great year.